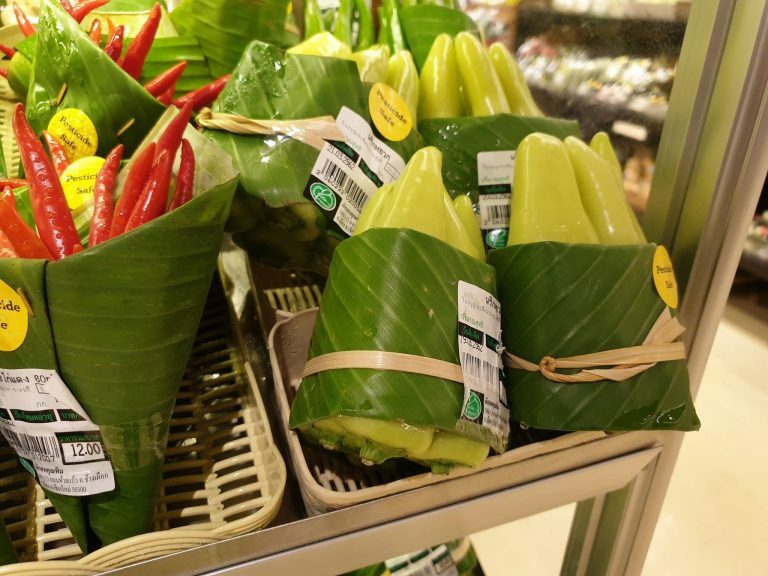 This Thai supermarket chain is now wrapping its fruits and veggies in an abundant biodegradable, renewable resource — banana leaves. 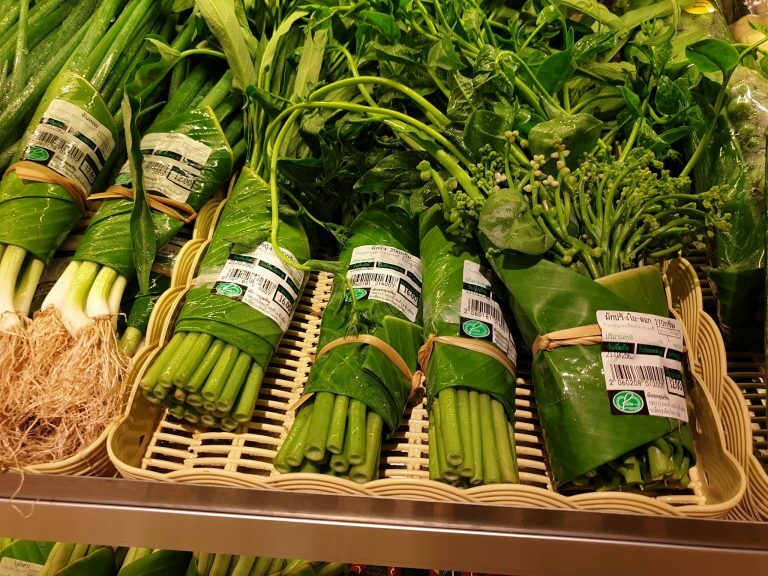 A supermarket chain in Chiangmai, Thailand, is doing its part to stem the tide of single-use plastics flooding into the ocean. 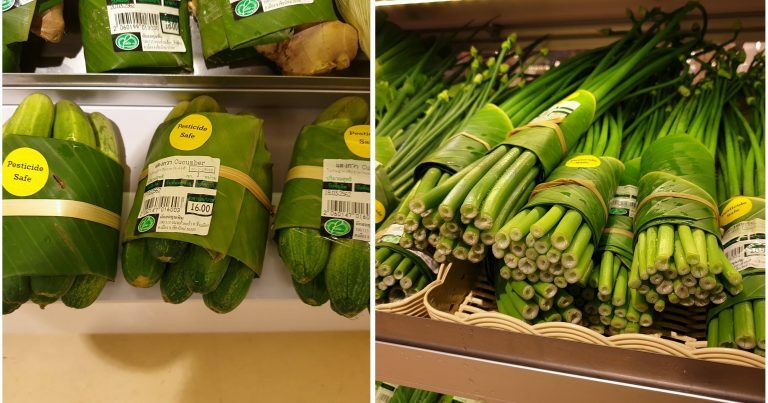 While most supermarkets bundle their strawberries in plastic boxes, their corn in plastic shrink wrap and their mushrooms in plastic produce bags, this grocer has come up with an innovative, eco-friendly solution. 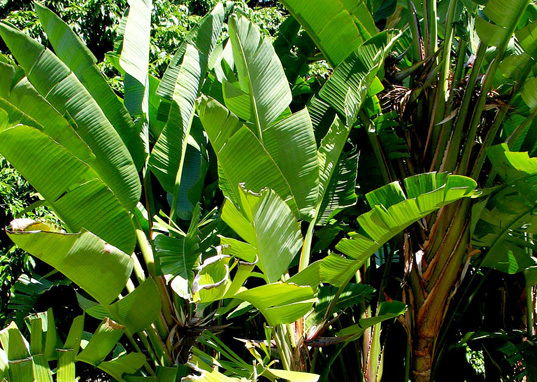 Banana leaves are a plentiful and nearly free resource, except for the cost of gathering them. 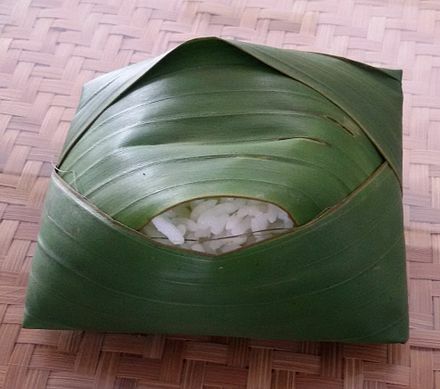 They’ve been used for millennia as plates and food wrappers and are still used as stylish serving dishes today in Indian and Filipino restaurants. 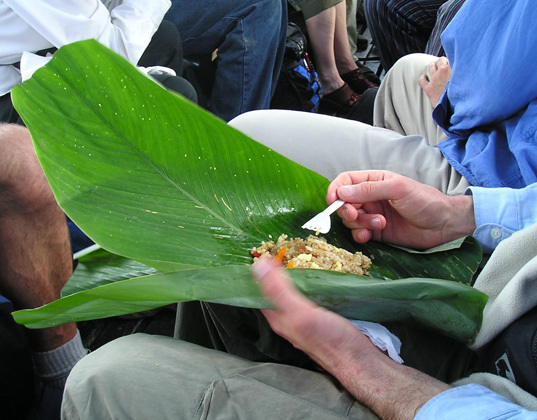 Banana leaves are said to lend a special flavor to a dish and can even be used to steam foods like Vietnamese sausage. Not only do the leaves make for a lovely presentation, but it is believed that an enzyme on the leaf, which is released into the food, aids in digestion. So instead of contaminating our produce with hormone-disrupting BPA, we could actually be making it more nutritious. 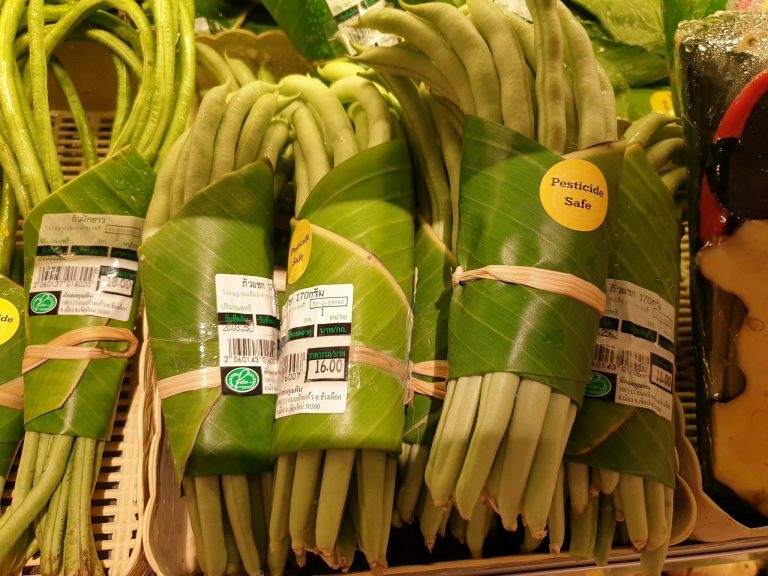 Now the benefits of the banana leaf are being expanded beyond fine dining and into the grocery store. They’re large, flexible and waterproof, making for sturdy packaging. 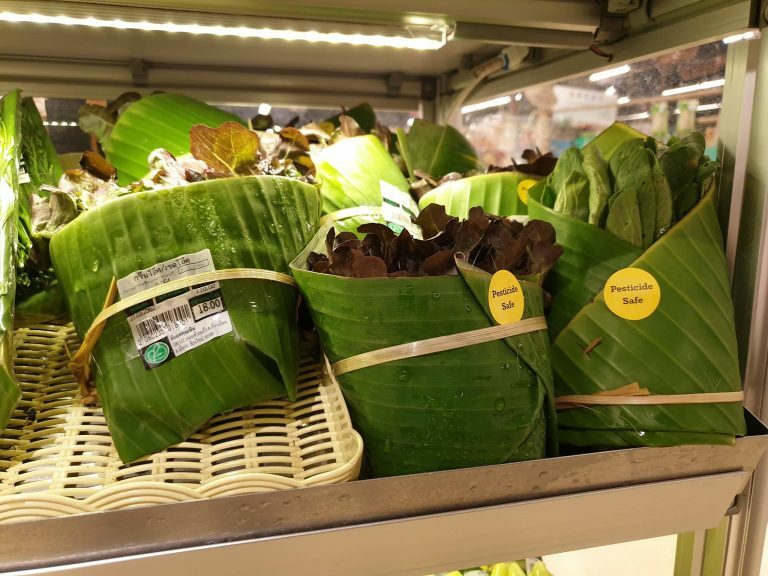 Researchers in Sri Lanka have also perfected a technique for curing banana leaves so they can be kept for more than a month under refrigerated conditions without any change in color or quality.